Sto. 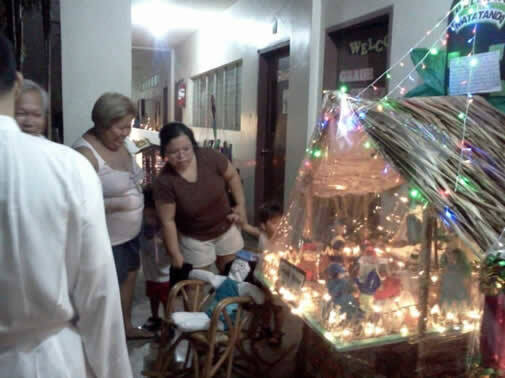 Tomas de Villanueva Parochial School lighted 17 specially designed Belen displayed along the corridors of the first floor last December 14, 2011 - the first ever initiative of the school. 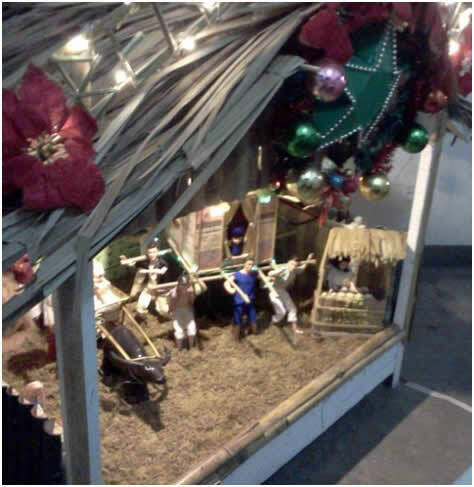 Teachers, parents and students were assigned themes of their Belen to be exhibited. Two Belen were assigned to Pre-school, 1 for the Office Personnel and 1 for each grade and year level. The general objective of the festival is to promote the center of Christmas in all walks of life. The Belen is mounted in a 3 x 3 feet flat form. It uses recycled materials to portray the Holy Family. Rev. Fr. Ramil R. Marcos, Bro. Monching De Villa, Bro. Monard Raborar, Sis. Michelle Cagomoc and Dr. Leo Galve judged the Belen according to their presentations, concept, content and utilization of recycled materials. The Belen ng mga Pilipino of fourth year St. Thomas of Aquinas under the supervision of Mr. Marcelino Malabanan bagged the first place. The whole class received hamburgers. Belen ng mga Mag-aaral of Grade 5 – St. Monica under the advisory class of Ms. Rozeanne Taliño was the second place and Belen ng mga Matatanda of Grade 3 – St. Blasé under Mrs. Francisca Aurelio, third. They received each Cornetto and Sundae respectively. After the Eucharistic Celebration and the Novena to the Our Lady of Perpetual Help, parishioners, parents and students went to school to watch the exhibit. They were amazed of the creativity of the students.